The running costs of our electric radiators are dependent on a number of variables. This is the case with all types of heating. The running cost associated with electric heating is a subject that brings much discussion between people who think that they know, and those who have real-life experience. We have monitored the power consumption of our radiators here in our office, and in our homes. We’ve also taken figures which have been supplied to us by our customers. The results vary considerably. Because of this wide variation, it is unfair to give a figure. It would be inaccurate at best, and can also be considered misleading. Some electric heating companies that have advertised running cost figures have been made to remove them by The Advertising Standards Authority. Be considered as relevant to the specific environment in which it was tested. Be as reliable and accurate as the test equipment that was used, and the person who carried out the test. Be reliant on comparative data, which may be drawn from any source – whether real, accurate, or not. This is a fact. However, it refers only to the rate of conversion from electrical energy, into heat energy. It does not include the actual heating effect. Those who apply this reasoning to state that “all electric heating is the same” are wrong. It doesn’t take into account the heating effectiveness, which is the only factor that matters in the real world. If we are to believe that all electric heating appliances provide the same level of heating performance, then we must also support the idea that a steam iron will heat as effectively as an electric radiator. It’s simply a misinterpretation of the term. 1.The overall heat-loss and U-Values. A number of elements contribute to this. Further details available.2.The level, and type of insulation in the floors, walls, and roof space. 3.The number of windows, and type of glazing installed. 4.The type of property – ie. bungalow, end-terrace, detached, top- floor apartment etc. 5.The property configuration – the size, the number of exterior north-facing walls, ceiling heights etc. 6.The geographical location of the property – ie. In the north or south, and how exposed the position is.7.The electricity tariff that is chosen. 8. The outside temperature. 9.The duration of heat requirement for each room. 10. The required room temperature that is set at the thermostat. 11.The level of occupancy. 12.The lifestyle of the occupants. In well-insulated rooms, our radiators generally draw power for around 20 minutes per hour to maintain set temperatures. The duration is not as relevant as the wattage though. A larger capacity radiator can be “on” for a comparatively short duration, but still draw the same wattage that a smaller unit would, over a longer duration. Read more. Our radiators are more energy efficient, and more controllable than storage heaters. They use less wattage, and don’t need to draw power to pre-charge for seven hours. Our radiators don’t require expensive installation. No boilers, pipes, pumps, tanks, cylinders, flues, or control boards are required. Our radiators don’t use the Economy 7 tariff. 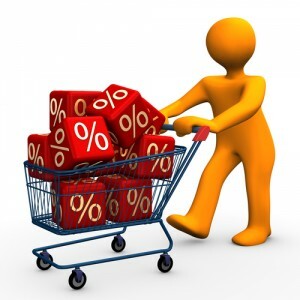 The price per unit outside of the overnight “cheap” period is now in excess of 21 pence with some suppliers. This makes the use of lighting, fridges, televisions, daytime heating, cookers, washing machines etc. extremely expensive. In the summer months, the “off-peak” power may not even be used. Read more. The long-term cost of ownership is exceptionally low. No servicing, annual safety checks, or boiler-breakdown cover are required. Radiator longevity is assured for up to 30 years. Our radiators are controllable by zone, meaning that only occupied areas need to be heated, and only to the levels required. No energy is ever wasted. 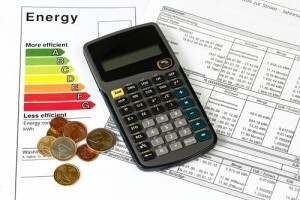 We run continuous price checks, to help advise you on the most affordable energy tariffs. If you have some concerns about the running costs of your current heating system, or would like to find out how our radiators compare, get in touch. We’re here to help.